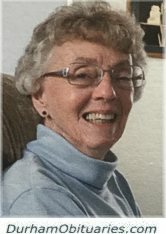 CAINE, Mildred - Peacefully passed away on April 11, 2019. Predeceased by her husband, Edward. 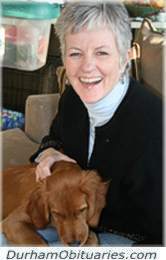 McCANNY, Rosemary - On April 14, 2019 at the age of 64. Beloved sister to Kathleen Mulcair (Kevin), Kevin (Tracy), Stephen (Angela), Maura Morgan, and Patrick (Ann). HIGGINSON, Peggy - Passed away peacefully at Northumberland Hills Hospital on Sunday, April 7th, 2019 at the age of 93. Beloved wife of Eric for 65 years. McCALL, Herman “Sarge” - It is with heavy hearts the family of Herman lovingly known as Sarge announce his passing after a courageous battle with cancer on Sunday, April 14th, 2019 in his 72nd year. Cherished husband of Jeanette who shared 46 wonderful years together. Theresa passed away in Toronto after a lengthy illness. Beloved wife of the late Peter. 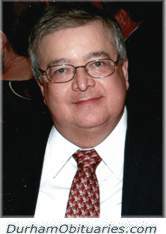 SALLAI, Leslie – Peacefully at home with family by his side on Saturday April 13, 2019. Les, in his 77th year. Predeceased by his wife Delores. Loving father of Les Jr (Kim), Attila (Debra) and Tara (John) Kimble. Grandpa to Shaylyn, Skylyn and Brooklyn. Dear brother of William (Anne), Susan Sallai and the late Clem Sallai. 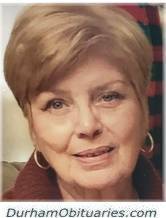 AKRAM, Jean Nellie Akram - Passed away on Saturday April 13, 2019, with family by her side. Loving mom of Donna and Karen (Rick). HOLTHOUSE, Lois Isabel - Peacefully at Hope Street Terrace, Port Hope on Sunday December 23, 2018 at the age of 88. Beloved wife of the late Geoff Holthouse. Predeceased by her sisters Dorothy Hunter and Ruth Hahn. Will be lovingly remembered by her brother in law George Hahn, sisters in law; Gwen Pettigrew, Mary Holthouse, Elizabeth Holthouse, several nieces and nephews as well as the Keiser family from Port Hope. PULLA, Paul (Paolo) - It is with sadness that we announce the passing of a great zenith,Paul (Paolo) Pulla at the age of 65. After years of battling many health challenges, he was taken to heaven surrounded by prayer, family and friends on Wednesday, April 10, 2019. He is predeceased by his father, Arturo Pulla, and will be dearly missed by his wife and best friend Lena (Pizzardi)Pulla and his mother Carolina (Assunta) Pulla. LARMER, Murray Austin Larmer - After a brief illness, peacefully passed away at Lakeridge Health Bowmanville on Friday April 12, 2019 at the age of 88. Beloved husband of the late Eleanor. CARLTON, Mavis C. (nee: Moger) - Peacefully at Lakeridge Health Bowmanville on Friday, April 12, 2019. Mavis, beloved wife of the late John (Jack) Carlton. Passed away after a courageous battle with cancer on Friday April 12, 2019 surrounded by family. Diane will be sadly missed and forever loved by her husband/ best friend Randy, and her children Cameron and Kevin, as well as extended family and friends. 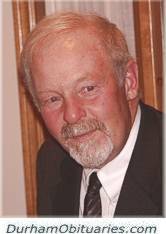 Passed away peacefully with his family by his side on April 12, 2019 at Lakeridge Health Oshawa at the age of 67 years. Beloved husband of Marlene (nee Taylor) for 40 years. Loving father of Meaghan and her husband Shaun Simpson. Adored Papa of Max and Alex. Dear brother of Linda (Glenn), Michael (Debbie), & Tim (Dean) and brother-in-law of Bob (Sandra), Bill (Ginette) and Patti (Ed). WRIGHT, Lola (nee: Marjerrison) – Longtime member of the Royal Canadian Legion, Branch 178 and the Ladies Auxiliary. Passed away at Lakeridge Health Bowmanville on Friday, April 12, 2019 in her 92nd year. 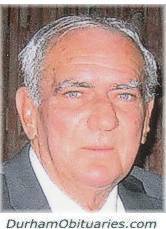 DUNN, Noel Dunn - Entered into the presence of his Saviour and Lord on Friday, April 12, 2019, his wife and friends at his bedside. Born in Bangor, Northern Ireland on December 25, 1945, he blessed several Ontario communities, and has lived in Whitby since 2010. 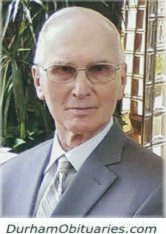 BOYKO, Dr. Robert 'Bud' - Passed away peacefully surrounded by loved ones on Thursday April 11, 2019, in his 91st year. Predeceased by his brothers William and Daniel. Bud will be lovingly remembered by his nephew Bob (Linda) and their children and families, his niece Christine (John) and their children, and his caregiver Carolina and her family. MORRISON, Evelyn Jean - Peacefully at Ross Memorial Hospital on Thursday, April 11, 2019 in her 93rd year. Evelyn, wife of the late Masson and mother of Robert Morrison and Marilyn (Gary) MacDonald.